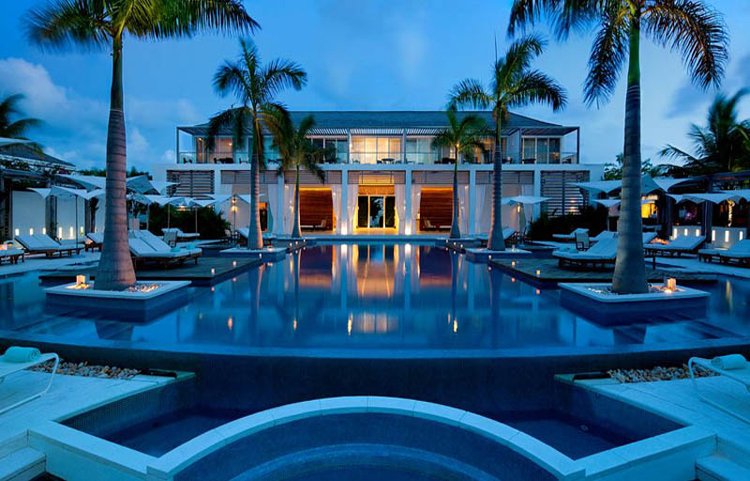 A sleek boutique property unlike any other on the island, Gansevoort Turks + Caicos marries Caribbean cool with urban chic in a way that only New York's hippest hotel mainstay can. Indulgence takes the front seat at this completely modern beachfront retreat where every room boasts stunning ocean views and Grace Bay, often touted as one of the best beaches in the world, is quite literally in the backyard. Enjoy the stunning beaches, turquoise waters and impressive coral reef system during your visit to Providenciales (Provo)! There are plenty of activities to participate in on land, in the water, and even from the air. 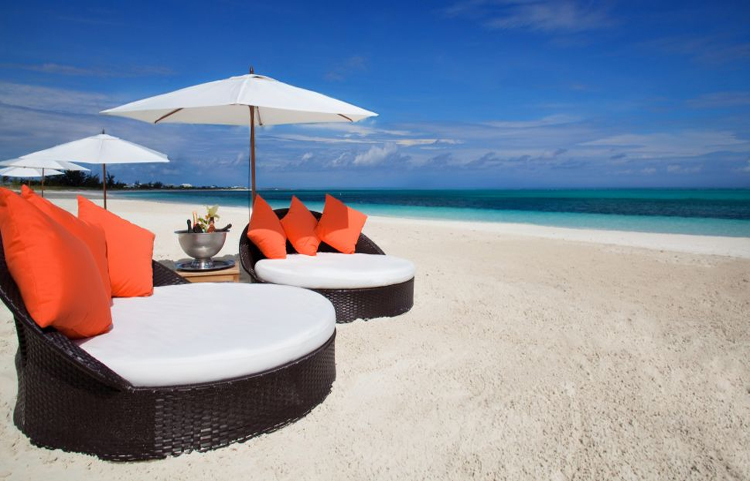 Get it all at Gansevoort Turks + Caicos. 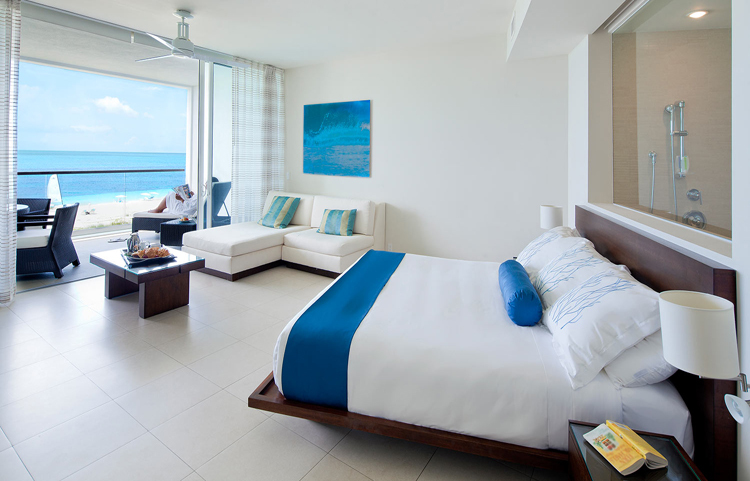 Urban chic meets Caribbean charm at our sleek, fully equipped, modernized beachfront property. 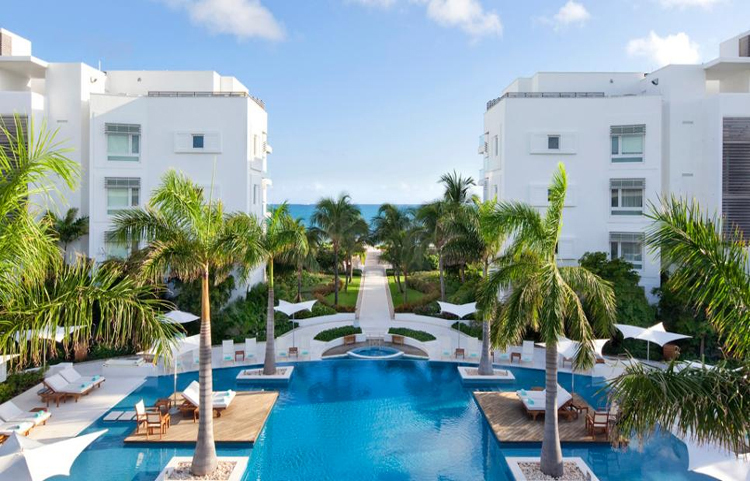 Gansevoort Turks + Caicos comprises of 91 guestrooms, complete with 32 suites and 4 penthouses, all touting an ocean view and some with kitchenette, a wraparound terrace and outdoor jacuzzi. Create a once in a lifetime event for business or pleasure. Honor your top producers. Celebrate a special birthday or anniversary. We're here to cater to your every need. Our beautifully designed modern facilities and stunning outdoor spaces provide a gorgeous backdrop for your unique event. Our 600+ square foot conference area and adjoining garden offer the perfect location for small meetings and receptions. Other on site venues include Stelle Restaurant, Zest, an expansive pool deck, a private penthouse and our dazzling beachfront. Stelle Restaurant and Zest: Urban sophistication meets island relaxation at Stelle Restaurant, and Zest. Lazy days roll into easy nights with a starlit stroll to Stelle for an intimate gourmet dinner on the beach or in our elegant indoor dining room. Guests can even share a romantic meal on a private floating island in our signature pool. Our chef complements Stelle�s modern Mediterranean cuisine with local specialties like conch as well as fresh seafood such as grouper, snapper, mahi mahi, and, when in season, the Caribbean spiny lobster.